Spotify has partnered with an odd company: Chevrolet. The car maker is offering an invitation to Spotify's free on-demand streaming service to the first 150,000 requests received through the Chevrolet Sonic tab on the Chevrolet Facebook Page. Chevrolet is among Spotify's first US advertisers and the only automotive brand to support the company's US launch. Chevrolet markets the Sonic as the only subcompact car built in the US. "Chevrolet continues to play a significant role in America's popular music culture as evidenced by the brand and vehicles being highlighted in hundreds of songs over the years," Kevin Mayer, director of Chevrolet Advertising, said in a staement. "Supporting Spotify's U.S. launch resonates with Chevrolet's long-standing tradition of bringing U.S. consumers a new way to listen and share music." "We are very excited to be bringing Spotify to the U.S., and to be working with partners such as Chevrolet towards our goal of making all the world's music available for everyone to enjoy, whenever they want it and wherever they are," Ken Parks, chief content officer and managing director of Spotify North America, said in a statement. 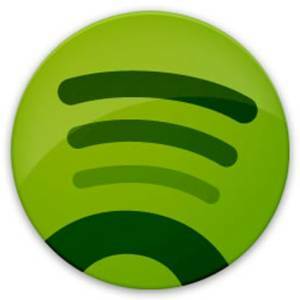 After many months of rumors and speculation, Spotify officially arrived in the US last week. For $5 per month you get unlimited, on-demand access to over 15 million songs, while the $10 monthly plan adds offline storage of tracks and lets you use the Spotify client on your mobile device. You can opt out of either plan at any time. There's also a free, ad-supported option in case you want to test the waters first, and it comes with unlimited streaming as well – unlike the European offering, which was recently capped at 10 hours per month. Unfortunately, the free option is in an invite-only beta phase so you'll have to get your email in the queue and be patient. Four months ago, Spotify passed the 1 million subscriber mark, making it the biggest paid music service in the world. A recent leak showed that the company is projecting that the service will have 50 million US users in its first year of operation.